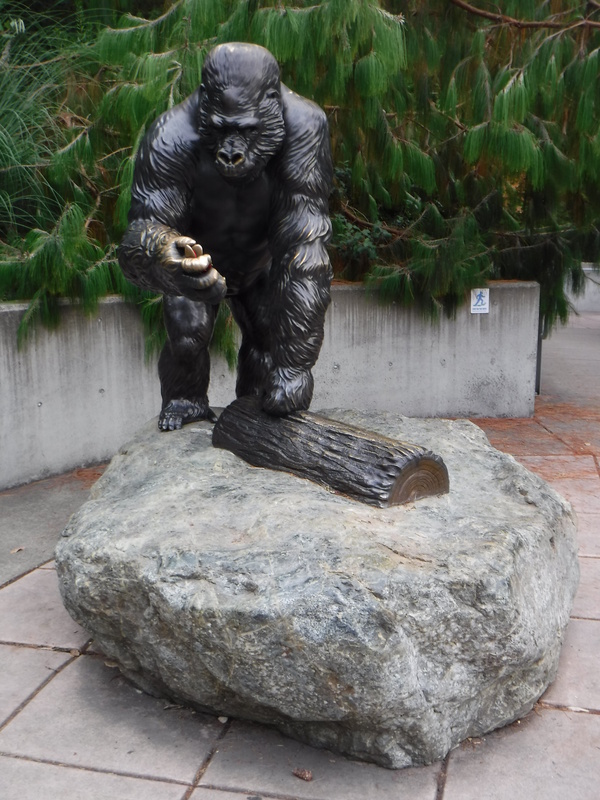 Tacoma is home to one of western Washington’s most diverse congregations of wildlife. 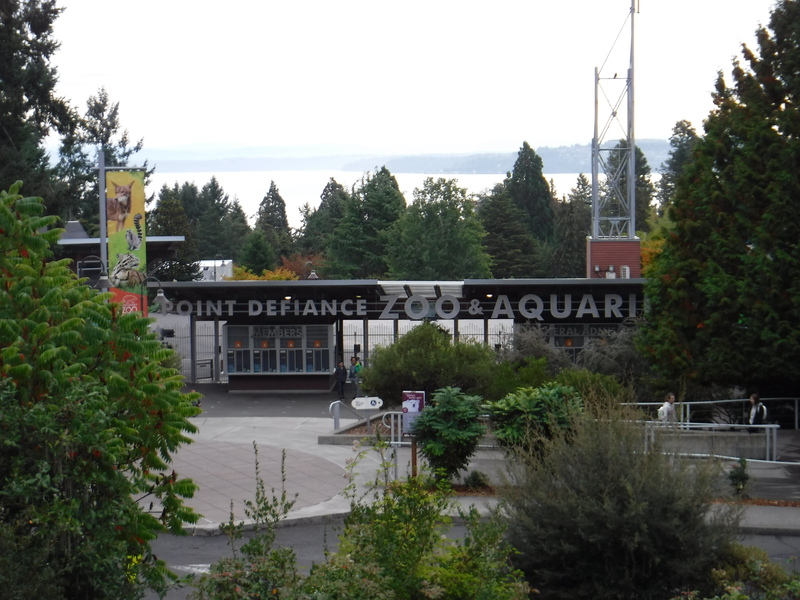 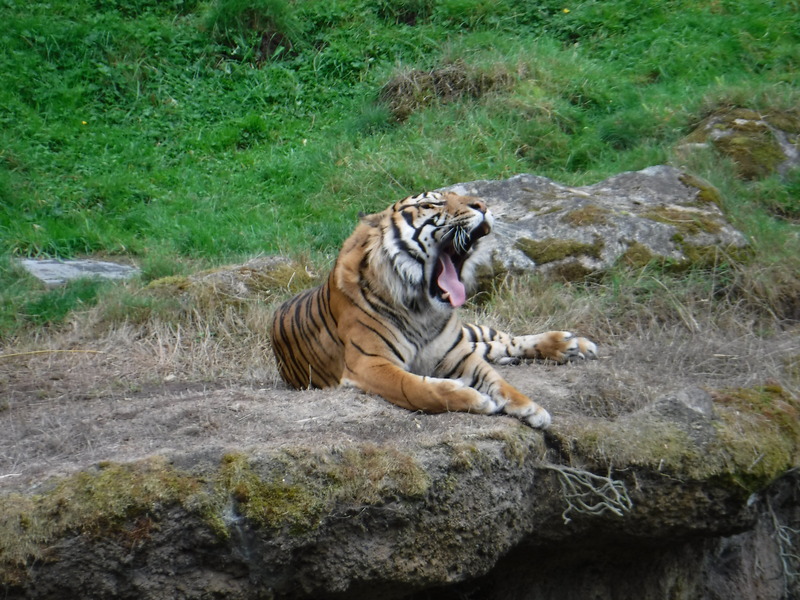 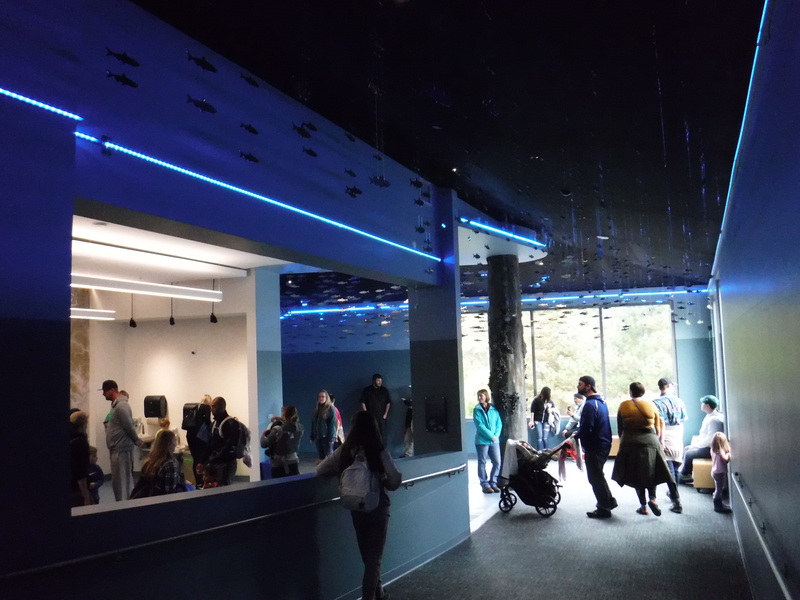 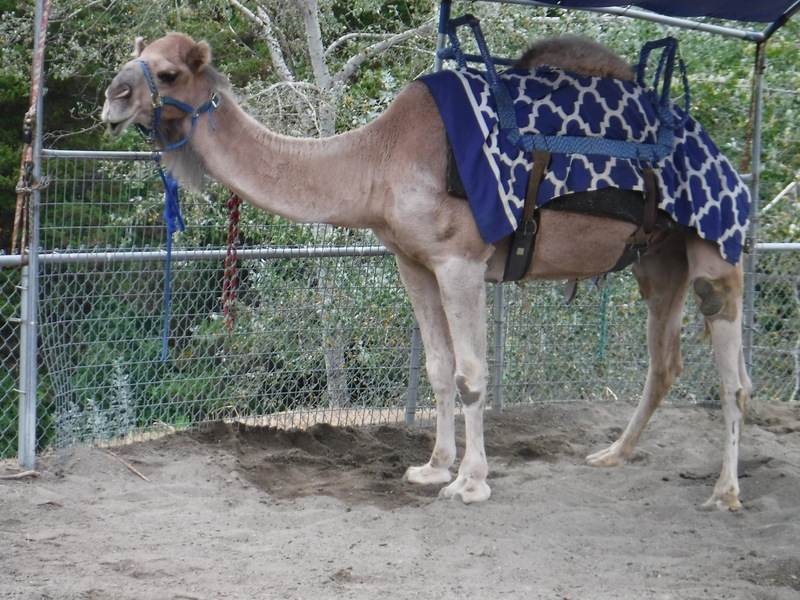 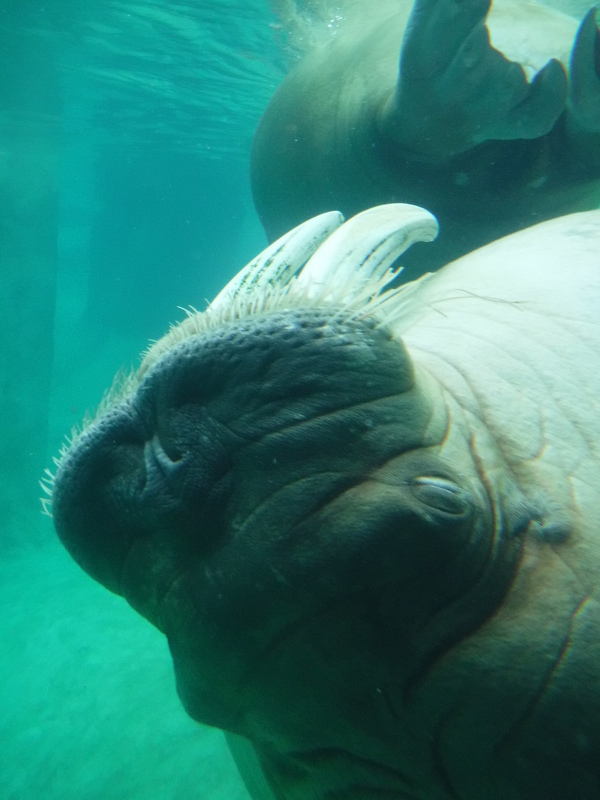 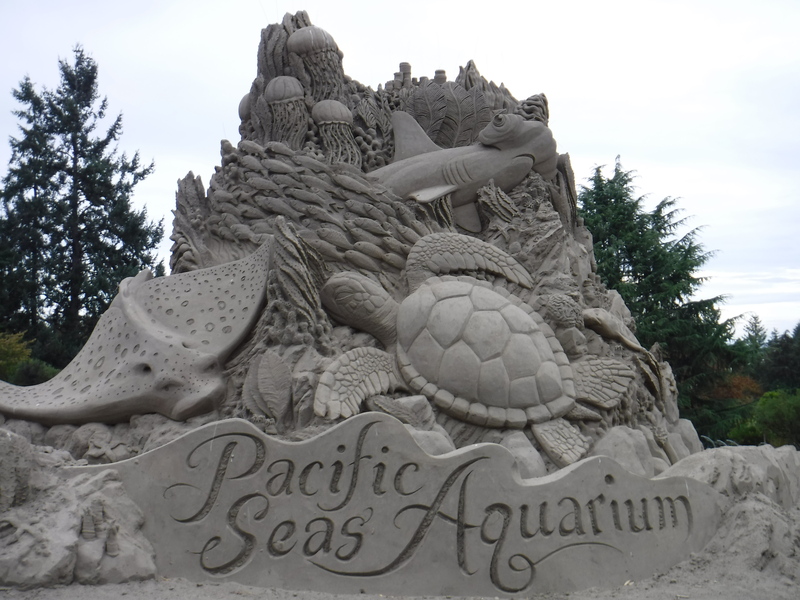 Point Defiance Zoo and Aquarium (PDZA) opened its doors to curious visitors in 1905 and has been stunning sightseers ever since with interactive exhibits and multiple aquariums. 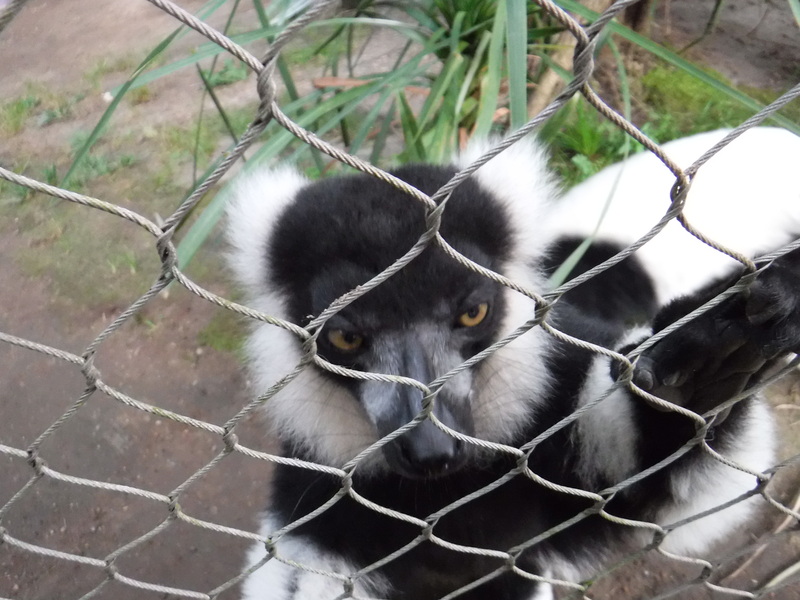 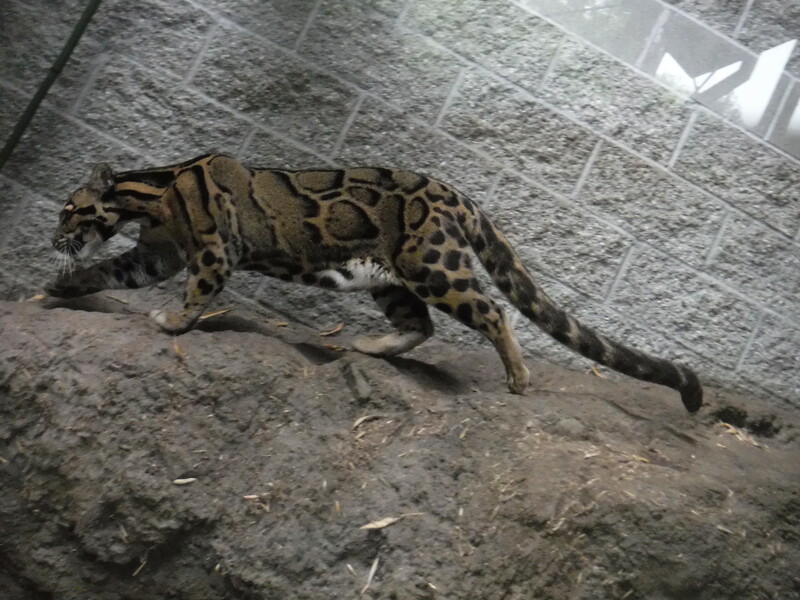 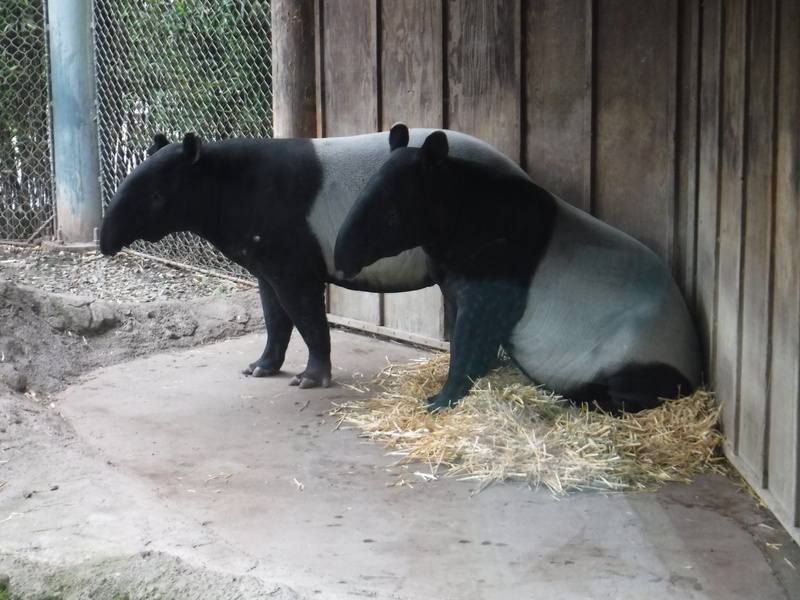 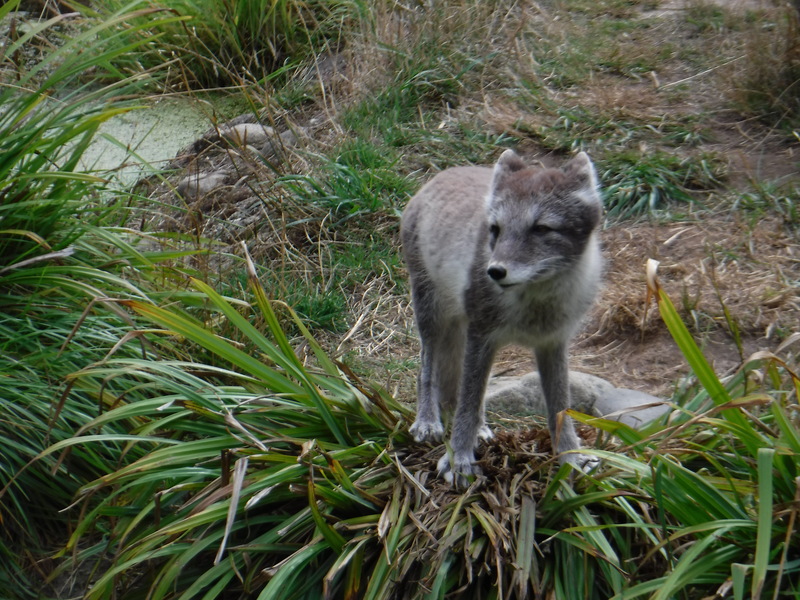 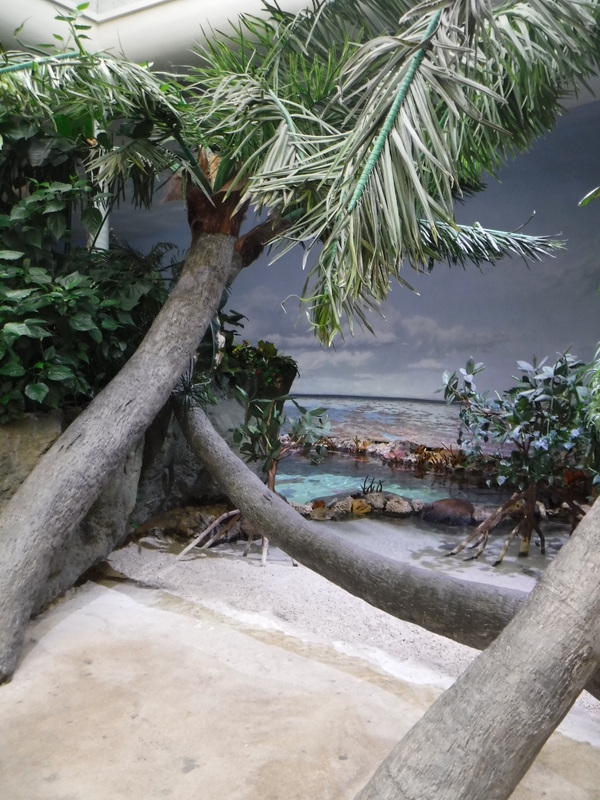 The zoo is currently home to nearly 600 species, many of which PDZA is actively working to conserve and protect. 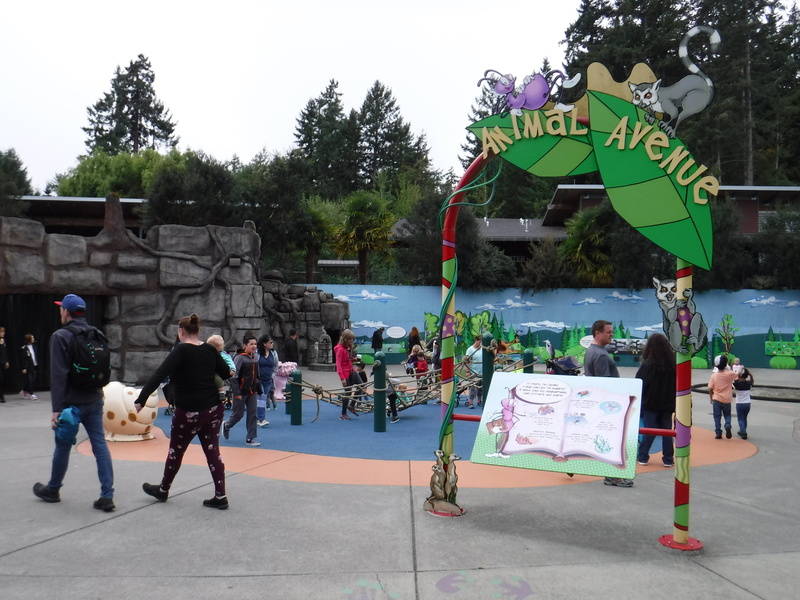 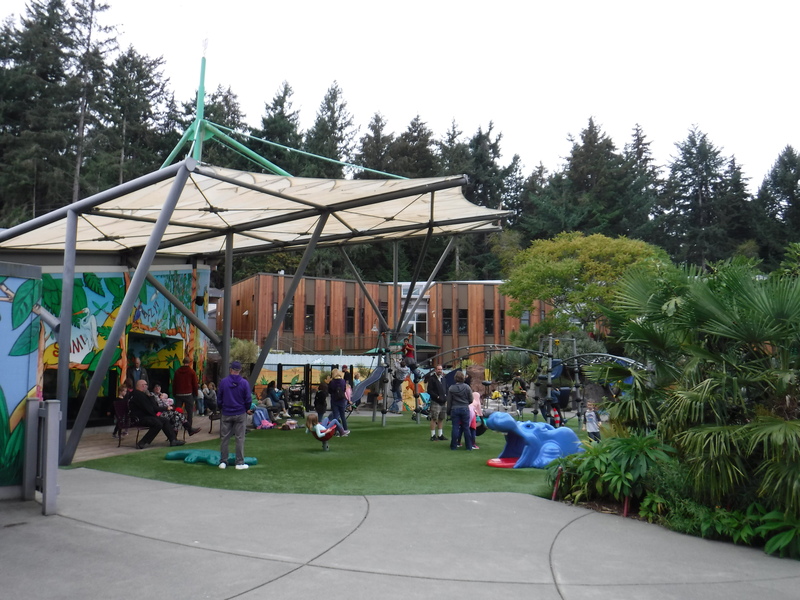 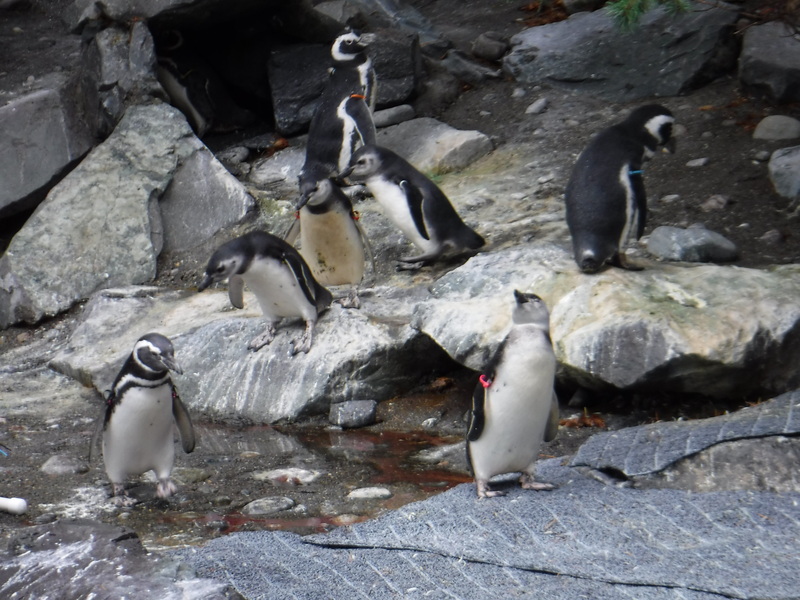 Situated on a striking peninsula with peekaboo views of Puget Sound, and adjacent to a park of the same name, the scenery alone makes it worth the 2.5-hour drive from Vancouver, but the animals and sea life within the zoo were the main attraction that brought my family and me up north last fall. 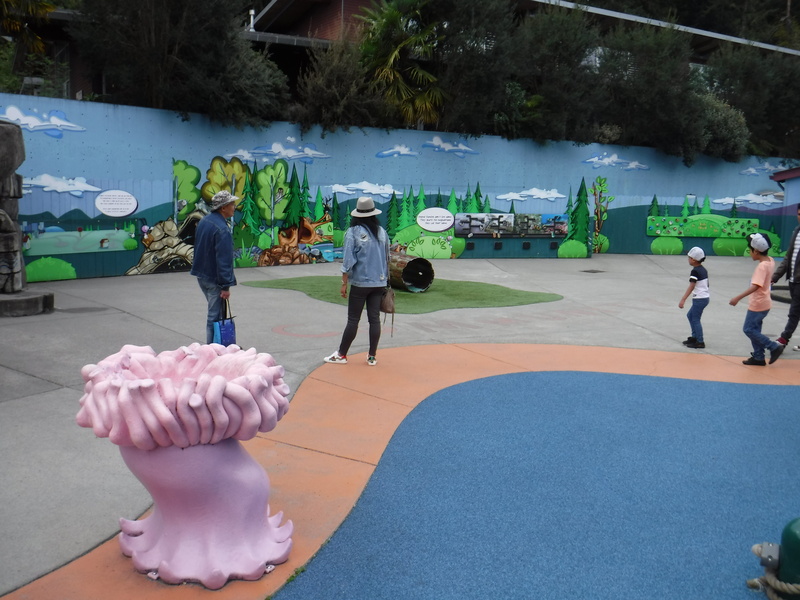 Our morning at the zoo started off in a way I don’t suppose any morning will begin for me again: with a face-to-face encounter with sharks. 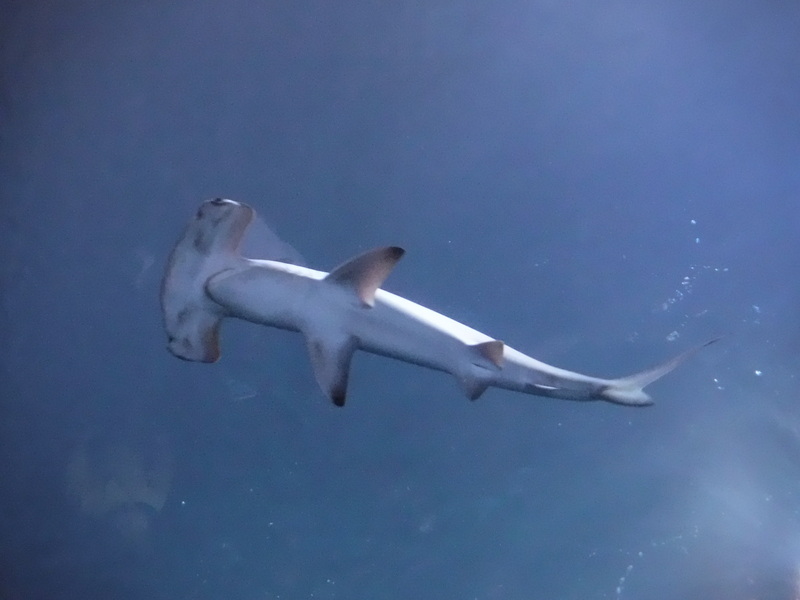 PDZA introduced this shark dive experience in 2013. 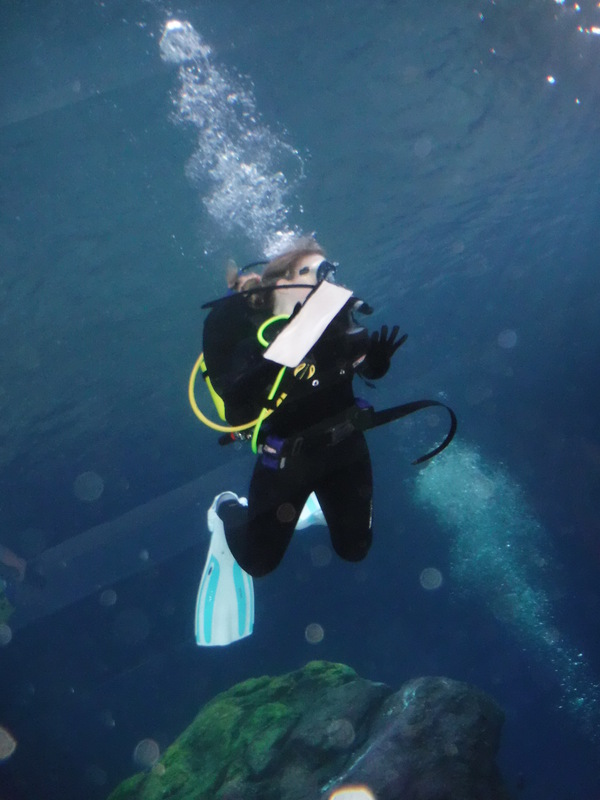 Using scuba-type equipment and surface-supplied air, shark dive participants are completely submerged in a large saltwater tank with multiple shark species gracefully swimming just inches away, though on the other side of a human cage. 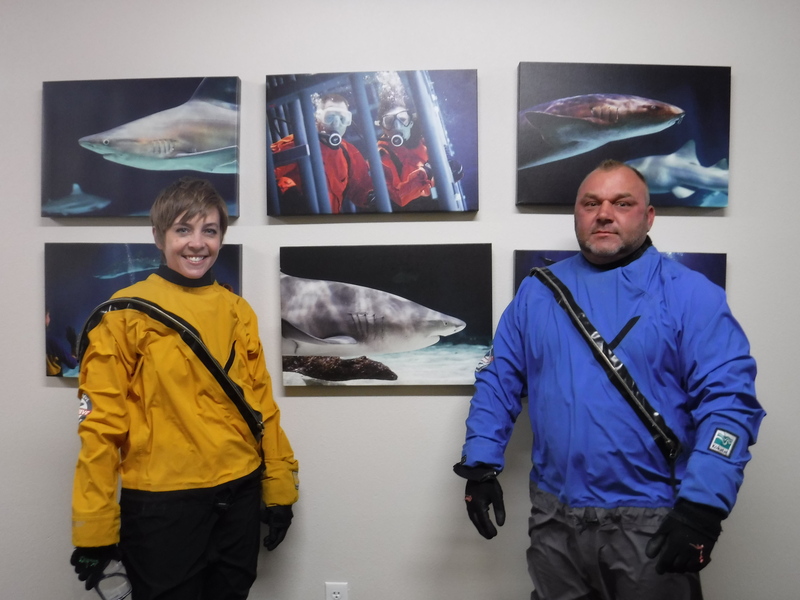 My husband and I and our fellow adventurers started out with some instructions from experienced divers, then suited up in multiple layers designed to keep our street clothes underneath (mostly) dry, though we couldn’t say the same for our hair and heads. 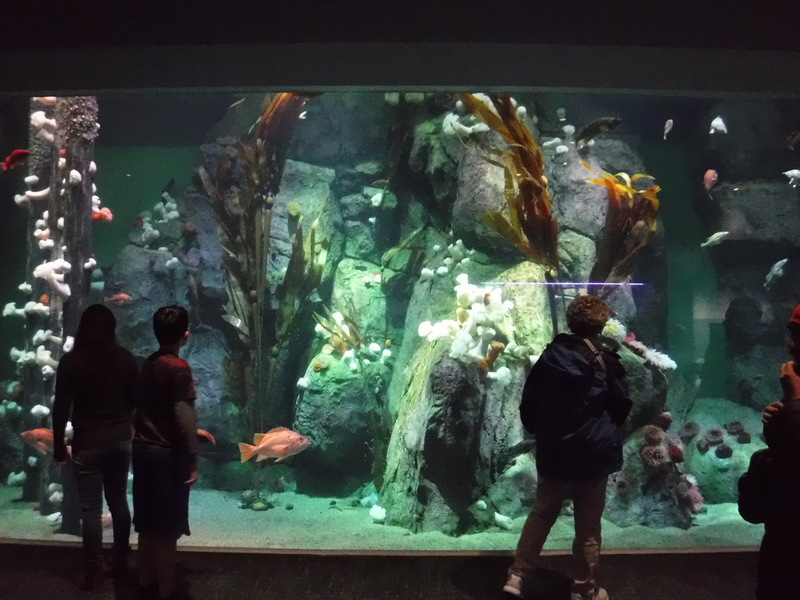 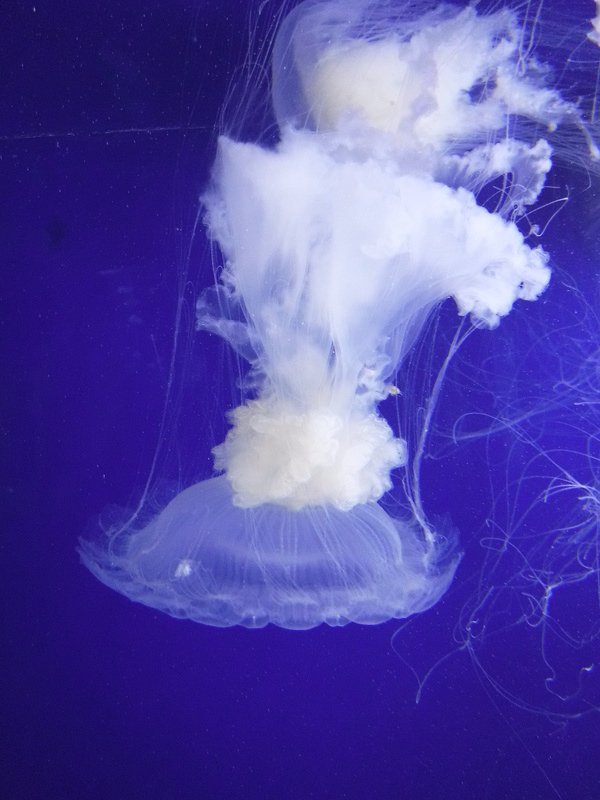 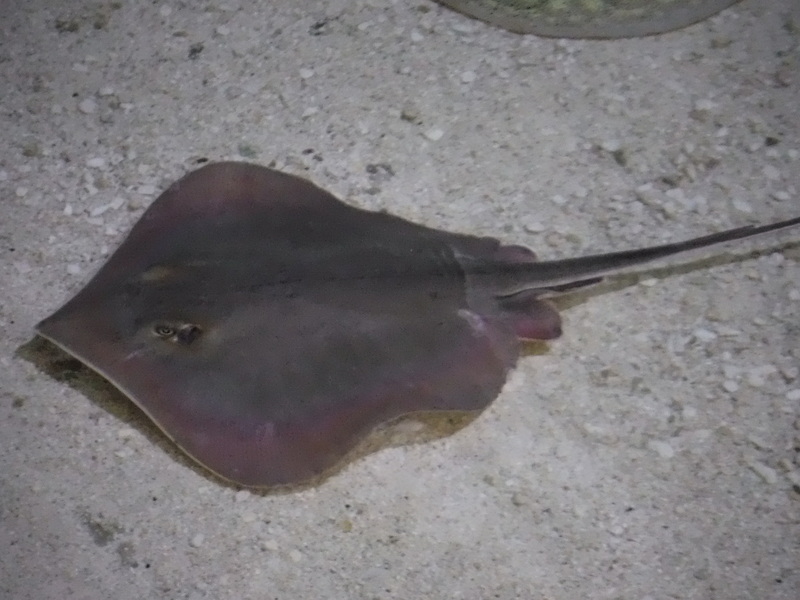 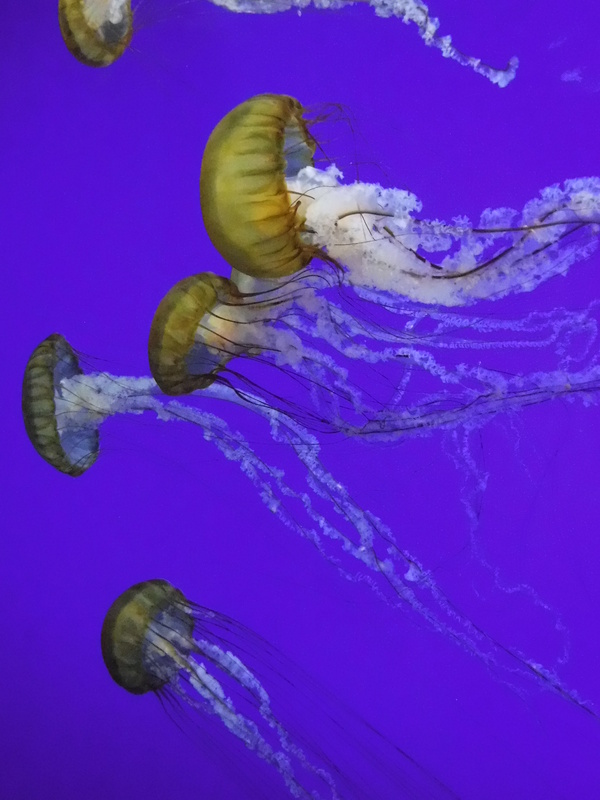 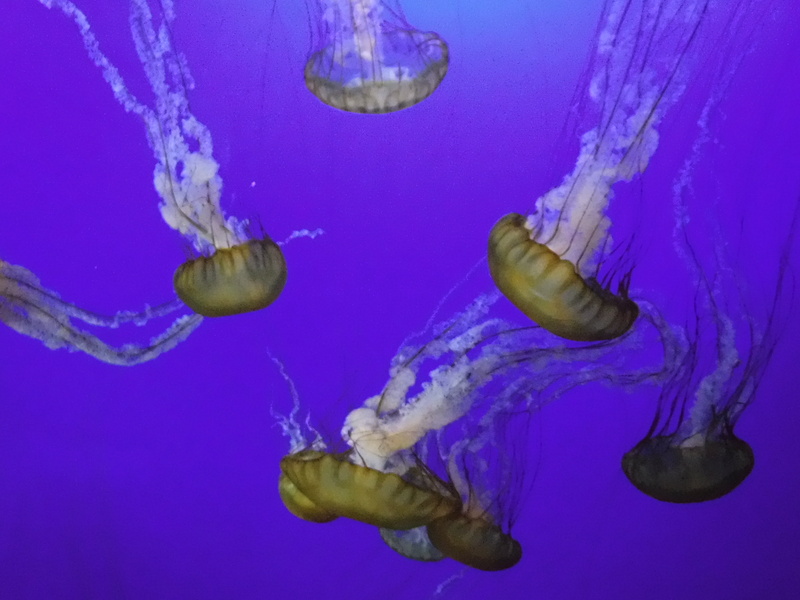 As we were immersed in the comfortably warm water, with our kids watching through the glass (though kids age 8+ may participate), any abrasive or distracting sounds were immediately muffled, highlighting the peaceful simplicity of the underwater world, and the elegance of the creatures who make it their home. 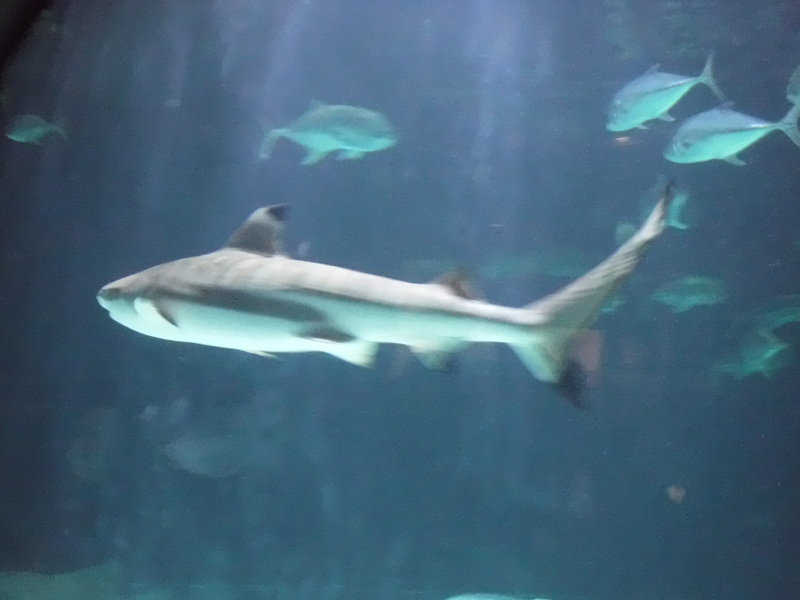 I relished my role as invited guest, and found my perception of sharks as monsters eroding. 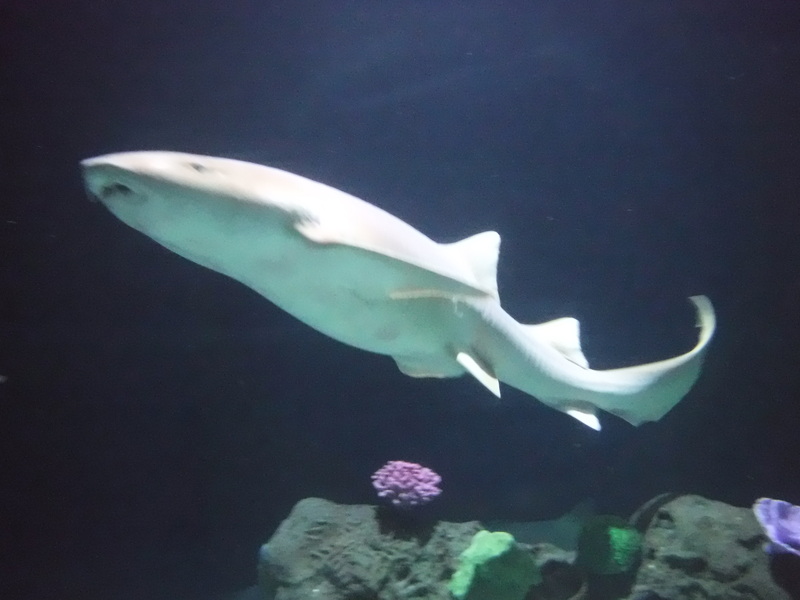 After about 25 minutes of observing, staff assisted us out of the tank and out of the dive gear, and left us with some parting wisdom about shark species in danger, and how to help conserve these majestic animals, such as supporting sustainably and responsibly sourced seafood suppliers. 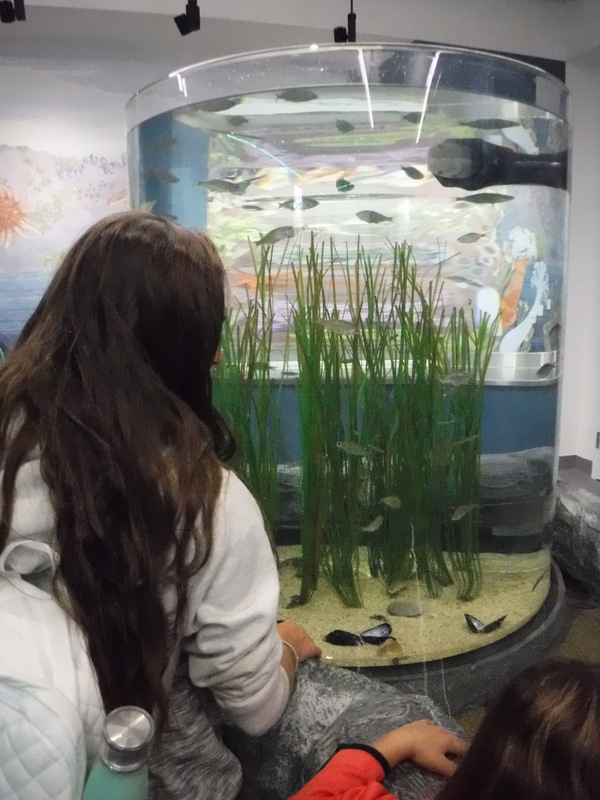 The eye-to-eye shark dive experience at South Pacific Aquarium was quite the way to start off our visit, but it was just the beginning of our up-close encounters with animals.